These are the two main things it takes to take part in the classic car hobby. Money and time.Buy a classic, buy parts for said classic, pay to have work done. If you are a do-it-yourselfer, you also need to find the time to work on your projects. Folks, I don't have the money and I can't find the time. I had twins last year and they have commandeered all of my time and energy. The 1964 Monza Convertible in my garage just stares at me with sad (currently not installed) disappointed eyes. I've got all the desire in the world to finish, but it's looking like that isn't ever going to happen. I think it would be different if I had a project that was farther along. As it stands now I think it might be better to let the car go to someone else who will actually finish it. 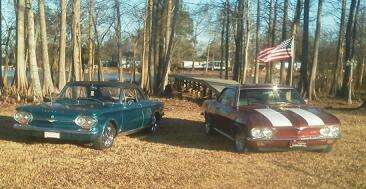 Anyone interested in buying out my Corvair hobby? Anyone interested in trading a more complete driver for a Monza Vert project? Pictures, what parts you've bought and what you have done would really help. I bet time is in short supply and will be for a great while. I took around 10 years to get my vert going but I had another car that was running so wasn't so bad. As long as the car has inside parking it can wait for the most part but getting it into 'driving' condition is much more desirable, it can move out of the way without pushing and you can go for rides. 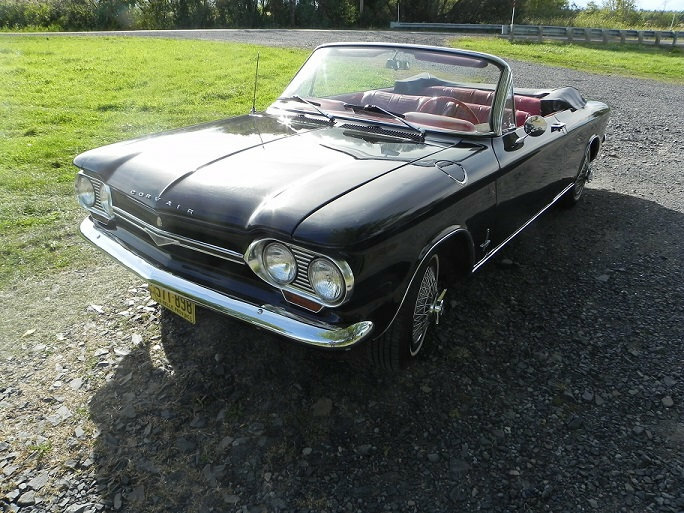 Doing Corvairs on a skinny budget is easier than most anything else. It'll hurt your feeling how little people will give you for a project car, try to keep it and get it to the point of moving, don't worry about things being perfect, just safe, it'll drive on 5 cylinders, lots have done it before you. Join Corsa SC, close to you and a great group, they will be more help than you could imagine. Put it into a Dark Room throw the keys away or give them someone on the other side of the earth,and do it when your Kids are older,. ask a friend who has the space for it. Alternator conversion with new 61amp alt. Push it on the side of your garage, put it up on stands, cover it up real tight, and then in 22 years when your twins are out of Harvard (or Yale) finish the car. I am learning these days the time is more valuable than the money. Boy can I relate to MoxyRamone. 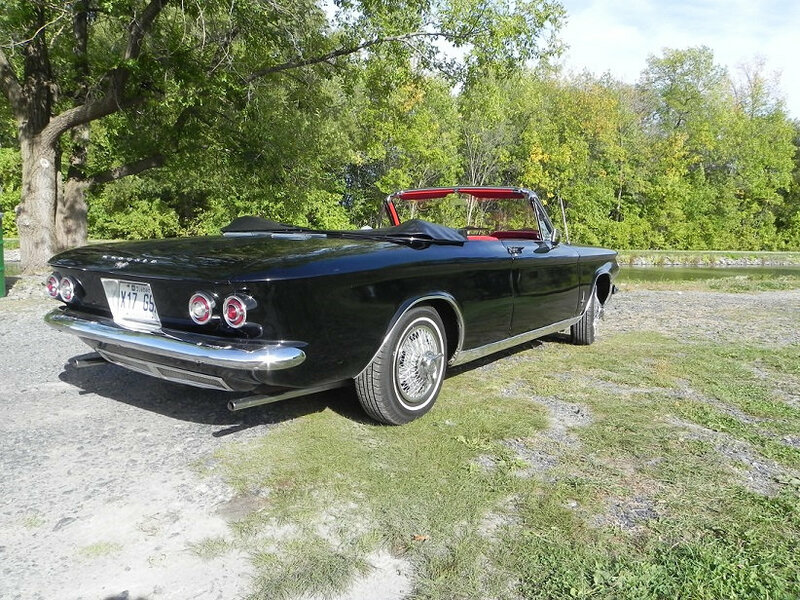 I have the time (retired) but not the money (fixed income) but I also do not have the proper storage for my '60 "700" coupe.This is not a basket case but a running driving turnkey car. Over $800.00 spent on mechanical everything in the last 6 months. Beltline trim perfect,bumpers shiny and straight,no rips or tears on upholstery,body solid with a hint of rust on right rear quarter,paint, has no chips etc. New tires bakes and on and on.Needs about a half a day of detailing. Finding it impossible to interest anyone,not even tire kickers??? Firm price of $4500.00,cheaper then anything you'll find on Ebay. PS some might remember this car by its name "SKIRTS". And I can back up the fact Ed's car is very nice. Even my wife liked it when we saw it last in Pittsburgh. Okay all, j3m's comments on another thread got my blood pressure up! That dude is a Corvair hater and I am definitely not that. I love these cars and I think they are great. I'm not giving up, and neither should anyone else! They may not all be worth saving, but this one is. If I get it running right, put tires and brake shoes on it, I have a driver. Paint and a drop top can wait. Thanks, j3m, for being a douche. I will stick with this project if only just to spite you! I don't know why he is still around, but if he is what it takes to keep you in our ranks. Then I am glad he is here. Ugly Vairs are better than NO VAIRS. Hey I have 3 that aren't pretty, but I love them! I can relate. I bought my 65 Monza convertible the year I graduated High School. Soon after came marriage a career and kids. I held on tight to the convertible. Picking at it here and there. Going sometimes for years without touching it. As the kids became more self-sufficient and income became a little bit better, I was able to have a bargain basement paint job applied and I enjoyed the heck out of it. (even my kids did to an extent). Kids went off to college, income went up some more and I had the bodywork re-done properly. Don't give up! But most of all, don't give up your car. It doesn't take up that much space and you can park outside, right? I always felt that if I hadn't kept my car, I would have never been able to buy another one later in life. I might have even lost interest. I've had it now 41 years and still enjoy it. The j3m comment is funny, I have read 'some' of what he has written but for the most part just skip right over same with Facebook stuff I don't want to read. John, even if you can't do much to it, hang on to the dream. When you are worn out from a long day of work and running your kids around, taking a look at your dream will help you to have something of your own to look forward to. You need that. Don't give up on the project man. I've got 8 year old twins. Time may be scarce, but I find the time and energy, even if it's 5 minutes here and there. My kids like working on the cars with me now. The boy is even big enough to help push them now. If you were closer I'd come slap a beer in your hand and help you work on your project. Keep it up. I hope that you will be able to find these cars a new owner. You can also keep it if you don't really want to sell them then wait for your twins to grow up so you can do your hobby again. I had the same problem in 2017. Kids where young (4 and 6 years old). I had already replace lots of stuff on my car, mechanical parts as well as aesthetic parts. It was looking pretty beautiful even if paint had a few dents and scratchs. Some rust damage were important in engine compartiment all the way below the rear window. There was some holes below the rear bumper and around the rear wheels caused by rust that I did fixed and painted. Engine was a bit knocking and there was some strange metalic noise, maybe the lifters or valves. 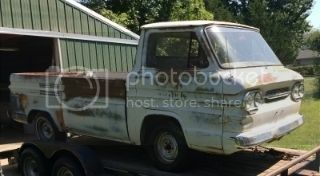 My wish was to send it to a garage for a complete body restoration and paint job, complete restoration of the engine and transmission. I you can keep it, just do it. At least let him sleep for the next 10-15 years and then finish your project.